A New Those Who Remain Trailer is Here - What Kind of Game is it? A New Those Who Remain Trailer is Here – What Kind of Game is it? Horror games come in all proverbial shapes and sizes. When some people think of the genre, a third-person action game like Resident Evil comes to mind. Some think of first-person run-and-hides like Outlast. The upcoming Those Who Remain is like Silent Hill meets P.T., which is also Silent Hill. 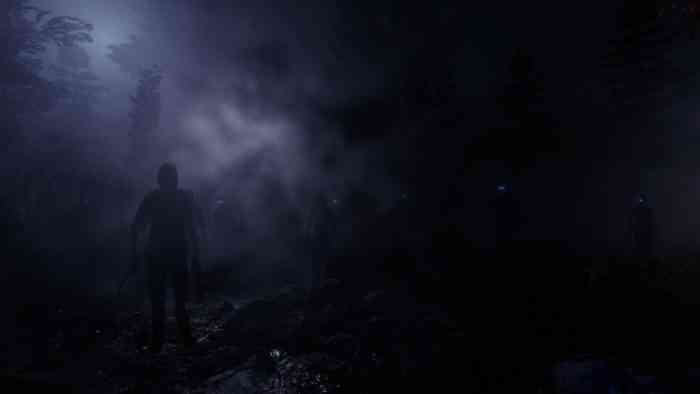 It’s like Silent Hill from the look of the new Those Who Remain trailer. It sounds like I’m making fun, and I kind of am, but let’s not forget that Silent Hill has been a pretty outstanding series for the horror genre. Imitating those games might be a good move, if that’s indeed what the developers are doing. There is a vacuum left behind after Hideo Kojima’s Silent Hills project was cancelled. Time to break down the trailer a bit. The trailer is narrated by a man who recalls being afraid of the dark as a child, like many of us were. The fear of monsters hiding in the dark is what he focuses on, and that he was right to be afraid. While he narrates, the camera pans through areas of a small town. The town looks silent, perhaps near or on a hill. After the narration, the trailer switches to gameplay shots. There is a monster shambling about, chasing the player. The monster has what looks like a headlamp shining. Then the camera pans across a street filled with shapes people with glowing, white eyes, probably not friendly. There is also a shot of some bigger monsters, though the angle might just make them look big. A Pelican-looking Halo aircraft flies above them. Then we see a few shots of some supernatural force manipulating furniture and warping reality. Title shot: Those Who Remain.